An elegant 9ct gold pendant necklase. 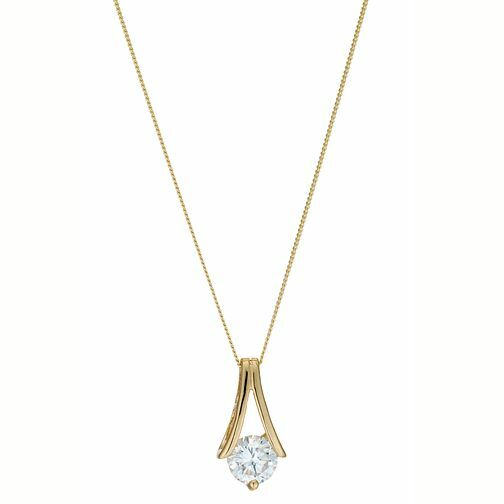 The pendant is a cubic zirconia stone cupped in gold, bring a little extra sparkle to you outfit. 9ct Yellow Gold Round Cubic Zirconia Pendant Necklace is rated 4.0 out of 5 by 4. Rated 5 out of 5 by Anonymous from I love it. I will love to purchase more necklace on this sit again, the one i bought is exactly what I want, I love it.